The Grove was Played and Reviewed by Golfshake Ambassador Rob Treanor in Feb 2018. The Grove boasts a professional grade championship course that is nestled amongst its own estate on the outskirts of London. Entering through the gates having not long left the busy M25, the site immediately envelops feelings of calm and tranquillity. There is space to unwind here and this golfing oasis offers a true escape from modern life. Players here will walk in the footsteps of top names such as Tiger Woods, Henrik Stenson and Ernie Els. 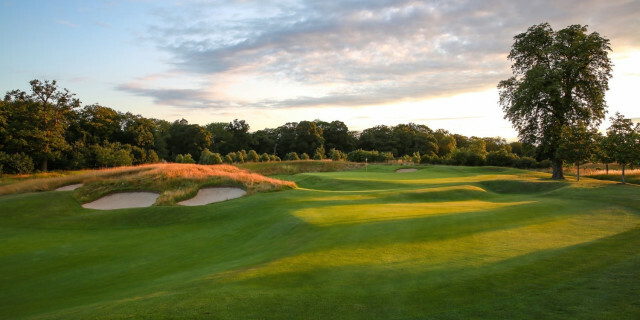 As well as the golf there is a top class spa, extensive grounds, gardens and hotel complex to keep visitors entertained. One of the really special things about playing at The Grove is that visitors get to experience the life of a pro for a day. Upon arrival at the clubhouse, waiting attendants take care of parking the car, leaving you to register whilst your clubs are assembled and placed next to a pyramid of complementary balls on the range. The professional team run an extremely slick operation and guide you effortlessly around the club's facilities, delivering you to the tee box on time, warmed up and ready to begin your round. 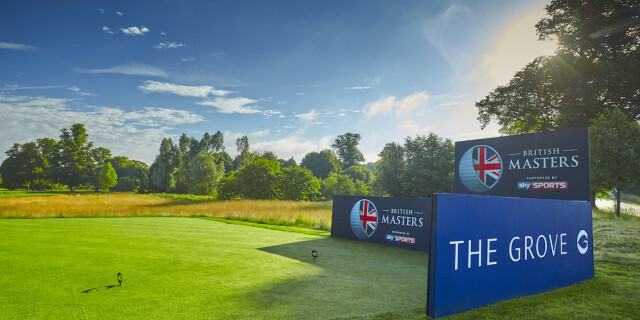 The practice facilities are extensive and to make the most of the experience arriving early, grabbing a bite to eat and making use of the short game area and putting green comes highly recommended. The speed of the greens will be a little faster than most of us play on regularly, so it’s worth soaking up all The Grove has to offer and preparing well for your round. The course oozes class and in a rather gentlemanly fashion, starts with a friendly par four which requires no more than a long iron from the tee. Following a slight dog leg left, this short and welcoming hole is an opportunity to inspire confidence early in the round. The third is a real challenge due to the lake which guards the front and left of the green. Only a well struck tee shot will allow the green to be reached in two on this long par four, otherwise there’ll be a risk/reward decision to be made about that lake! The water theme continues during the glorious par three fourth, which again is guarded by a stream. There is plenty of room at the back so taking one more club than usual should remove that hazard from range. Hole eight is an absolute feast for the eyes. Standing on the elevated tee box with a commanding view down towards the hole, the first shot is downhill to find a fairway which meanders gently to the right. The second shot is played uphill to a green well-guarded by bunkers to the front. Holes like this can be played a variety of different ways and playing such a well crafted piece of golf architecture is one of life’s true pleasures. One of the unique attractions about the game of golf is that as amateurs, we can play at the same venues as pro golfers. In 2006 Tiger carded three consecutive eagles at the par 5 9th (which was the 18th during the WGC Championship) which is made all the more impressive once you’ve played the hole yourself! New challenges await on the back nine and with such a great variety of holes, the course keeps you fully engaged and will require the use of every club in your bag! The tenth kick starts with a tee shot between large trees either side of the fairway. By this point in the round you will have learned that the greens are silky smooth and incredibly true, so as long as you can find the putting surface you will have given yourself a chance! All of the holes are memorable but the long par 3 thirteenth is perhaps the one which will stay with you. Hitting from high up at a commanding vantage point, the green seems a long way down which muddles the club selection and makes you think. Any shot on line will result in a beautiful few seconds as your ball passes it’s apex on the way back down towards the flag. The 17th was my pick of the holes as it encompasses everything which is great about The Grove. At less than 500 yards from all tees it is a welcoming and picturesque hole. The bunkers are well placed on the relatively narrow fairway from which the green at the end is offset. There is also a gully feature at the front of the green and trees to the right so plotting the way towards the hole is essential to scoring well. An absolute gem of a hole! The course played extremely well in the winter (we played in February) with smooth, faultless greens and all areas in top condition. Lewis Hamilton played in the group behind us so you’ll be keeping good company no matter when you play! Arrive nice and early, switch your phone off, grab a bite to eat and relax. Make the most of the extensive practice facilities. If available, use one of the excellent buggies which have hole flyovers and GPS on the inbuilt screen as well as club & ball cleaners fitted on the exterior!